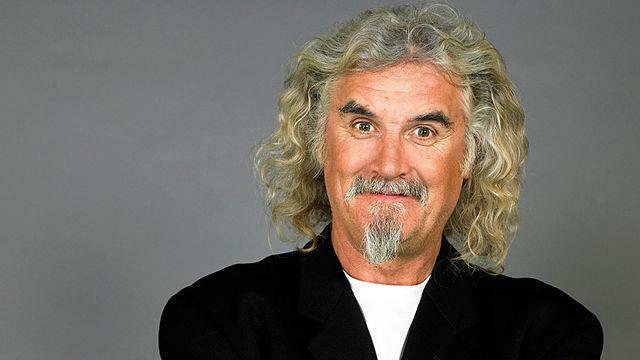 Billy Connolly has had a great career pushing the boundaries in entertainment with his swashbuckling style, often risqué and always hilarious sense of humour. I admire the way he has used his comedic flair to support charitable causes, spending almost half his life – 30 years – working with Comic Relief in the United Kingdom. Billy Connolly was diagnosed with Parkinson’s disease in 2013 and, unlike many people (famous or otherwise), went public with the news shortly after. I talk a lot about the need to converse openly about dementia, to reduce the stigma associated with it and other incurable neurodegenerative diseases. Billy Connolly is someone who is not only talking the talk, he is also walking the walk – and doing it in a way that normalises his symptoms and therefore, the disease. Of course, Billy Connolly is not the only personality who has used their celebrity status to promote awareness of incurable diseases over recent years, but he is certainly one of the most outspoken. The phrase “comfortable in his own skin” comes to mind. Diseases like Parkinson’s and dementia cause fear, and fear causes stigma. Conversely, stigma causes fear. It’s a vicious, self-fulfilling circle. The problem with stigma is it causes people to be fearful of the disease, and fearful of the person living with the disease. Stigma is one of the reasons why, in the past, people with neurodegenerative diseases were labelled as having “no hope”. Stigma has two sources – those observing the disease and the person with it, and those experiencing it. We often only talk about stigma as it is coming from external sources, but we should be mindful of the powerful influence of the stigma an individual can feel about themselves. Billy Connolly’s courage highlights how a person can face up to and stare down the inclination to accept a stigma about themselves and their condition. Internalised stigma will cause some people to hide a recent diagnosis from their family and friends. They worry about what others might think. Sadly, this is often the time when a person is at their most vulnerable and needs support – not judgement – from others. Oh, that we all had Billy Connolly’s courage and humour to throw off stigma and refuse to feel intimidated about owning up to the disease and, in the process, cheating ourselves of the opportunity to live life to the fullest after the diagnosis. I note that, four years after being diagnosed with Parkinson’s disease, and after continuing his career, public performances and conversation, Billy was knighted for services to entertainment and charity. Billy Connolly defies the inference that there is “no hope” after a diagnosis. Similarly, if there is anything we have learned from the cancer journey over the last 20 years it is that there can be, and is, hope after diagnosis. Challenging stigma will change the perception that there is no hope. We cannot all have Billy Connolly’s bravado or humour, but one of the ways we can reduce stigma within our communities is to talk openly and share our experiences. I encourage you to speak up, to start a dialogue, to normalise the conversation around diseases such as Parkinson’s, Huntington’s and dementia in all its forms.